Downsizing your life should be a time when you are able to do the things you’ve always wanted to do. Some people want to travel, others to own that sports car that they have always coveted but how to afford it, and how to pay for its upkeep once it is in your garage can be a problem. Purchasing a sports car can be very expensive, no doubt you have thought long and hard about the model, the colour and what you will do with it once you own it. You may be a fan of touring the country in fast cars and see yourself with designer sunglasses, the wind in your face and a beautiful woman by your side. For others it may be that you want the car as it is a collector’s item, you may be more interested in a vintage model, join the owners club and attend rallies. You may even purchase the sports car as a wreck and spend many hours locating parts at auto jumbles and restoring it to its former glory. Whatever you reason the financial outlay will be considerable and not to be undertaken lightly. 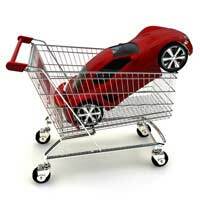 You may have planned to own your choice of sports car for a very long time. Perhaps you decided to invest some of your redundancy money into the vehicle. But eating into your savings for what is after all an unessential luxury can cause problems in the years to come when you need your redundancy money to pay for living expenses. Perhaps taking a short term, part time job could bring in extra income to fund the cost of the purchase. Selling off unwanted items at boot fairs or on an online auction site is another way to add to your savings. Finding extra ways to bring in cash for your beloved sports car will mean that your dream will be realised sooner rather than later. Once your chosen sports car is safely home and installed in your garage you will have to look ahead to how you are going to pay for its upkeep. Fast cars automatically attract higher insurance cover and not all insurance companies accommodate sports cars or the older restored vehicles. Look to joining an owners club or other vehicle appreciation group as there will be members’ discounts for insurance and other vehicle related expenses. You will also meet people who can help with maintenance and source parts that may be hard to locate. You could be very clever and make the investment of your sports car bring in an income that will not only pay for its own upkeep but give you an income as well. Many people who get married do not want the typical vintage Rolls Royce to transport them to their wedding. Your sports car could be the ideal vehicle to rent out to the bride and groom. To best advertise your vehicle rent a spot at a wedding exhibition where your sports car will be seen by many hundreds of brides and grooms with money to spend. Take a deposit and be professional with the hiring of your vehicle. Also make sure that your insurance covers passengers. Many people would love to mown a fast car but unlike you have not yet attained the dream. You could rent out your vehicle either for a few hours, half a day or a whole day to those who would love the fat car experience. Take a substantial deposit and again ensure that vehicle insurance is covered correctly. Film and photographic companies also need photogenic vehicles for their films and promotions. Place yourself with agencies where your vehicle will command a big fat fee quite often without being driven more than a few feet.